The main reason I decided to launch a Twitter was to be able to inform members about what's going on if we ever have significant downtime at the site. I may use it for posting news, but I'm not sure yet. I don't plan on giving the account a lot of attention, but please follow it if you have a Twitter. If you don't have one, just remember the the account name, TSUGNet, so you can check it in case something does happen. I don't think we'll have downtime until I perform the website upgrade, but most sites like this have an account like that just in case. A social media block with a link to the Twitter account has been added to the left side of the front page portal. I'm not a Twitter fan, but it's a great idea. I actually have a Twitter account I barely use. Maybe...I'll follow this? Uploaded a much better looking, higher res banner to the Twitter. I didn't reuse the forum banner, because I'm trying to keep some of the copyrighted stuff out of if. Good idea. Useful when not able to log into the forums, whatever the reason why. 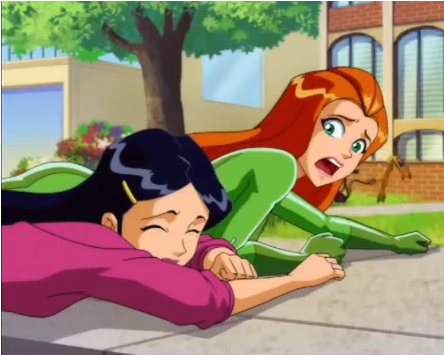 For some reason, the account's tweets only appear under the #TotallySpies hashtag when I upload images, so I just decided to delete all the tweets and start over. We only have two followers and zero likes so far anyways. The tweets now appear in the left column of the portal. May adjust this later. Well, your face is quite stunning. It's impossible for bishounen to be ugly.